Copyright © 2019 All Rights Reserved. Musictoday II, LLC, is the seller of all Barry Gibb merchandise and is solely responsible for all aspects of your purchase. 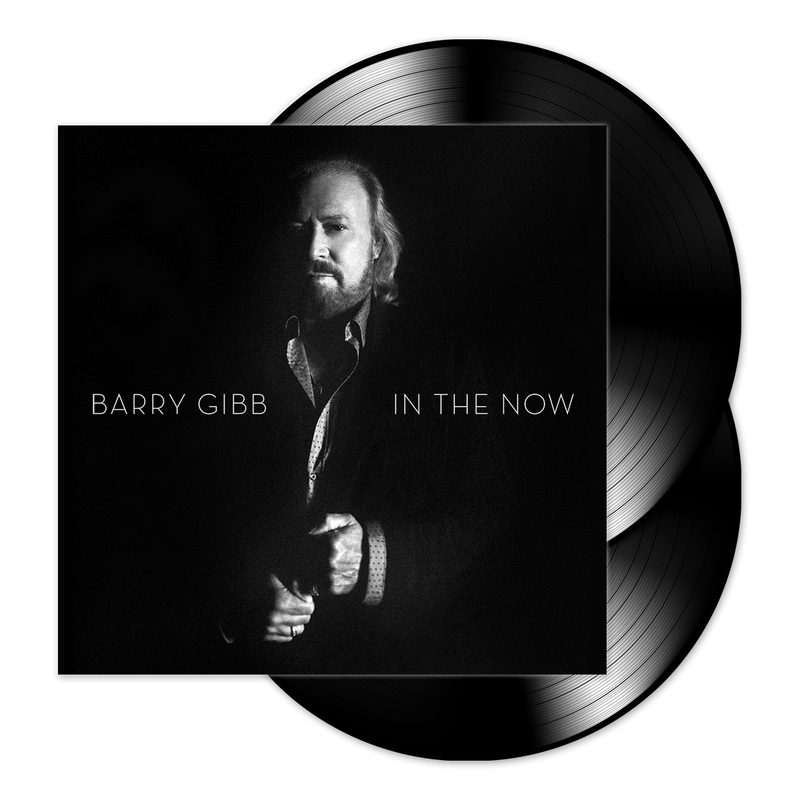 In The Now is the new solo album from Barry Gibb, the surviving member of one of music’s most successful and revered bands, the Bee Gees, formed with his brothers Robin and Maurice. Produced by Barry and co-producer John Merchant, In The Now is only the second solo effort of Gibb’s career and his first album of all new material since the Bee Gees final studio album in 2001. The new album is an impassioned solo effort that signals a welcome return of one of the most identifiable and versatile voices in the history of rock, pop, and R&B. The 12-track album was recorded in Miami with the same gathering of accomplished musicians Barry assembled for his acclaimed 2014 solo tour. And Barry has kept In The Now a family affair, writing all the songs with his sons Stephen and Ashley. Commenting on working with his sons, Barry said, “We've been writing together for a long long time - my eldest son Stephen and my second eldest son Ashley. So in a very spiritual way it's not my three brothers, it's my two sons. But it still works the same way. I'm a better writer if I'm writing with somebody." Barry proudly admits, "All of the feelings that I've ever had in life are all in this album." Barry Gibb has had a phenomenal career. As a founding member of the Bee Gees, along with his brothers Robin and Maurice, Barry Gibb has sold more than 220 million albums worldwide. Between Robin, Maurice, and Andy, the Gibb brothers achieved 19 number one records on the Billboard charts including a phenomenal 6 in a row, equaling The Beatles record. As a record producer/songwriter, Barry has been instrumental in creating milestones for other artists, ranging from Barbra Streisand’s ‘Guilty’ album to Dolly Parton and Kenny Rogers country record ‘Islands In The Stream’ also, Diana Ross ‘Eaten Alive featuring ‘Chain Reaction’ as well as Dionne Warwick’s ‘Heartbreaker’ album.